One Ukrainian serviceman was killed and two other soldiers were injured over the last 24 hours in the zone of the anti-terrorist operation (ATO) in eastern Ukraine. The ATO spokesman for Presidential Administration Col. Andriy Lysenko told a briefing 20 June. 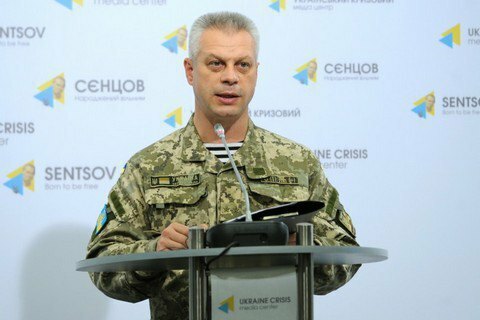 “One Ukrainian serviceman was killed due to enemy shelling near Novozvanivka, and two soldiers were wounded," Lysenko said.